I traveled to Salisbury last week and met with Gary Page, who has been the Rowan County Manager since 2008. 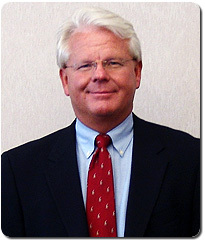 He was the Wilkes County Manager for 12 years, and he also served as the manager in Stokes, Stanly, and Carteret counties. We talked about a wide range of topics and, as always, it included budget issues. The county has cut their budget by $12 million over three years. During that same period they have cut 42 positions, though only seven people actually lost their jobs. Four of those positions were inspectors. That has been a common refrain across local government in North Carolina−building and development is way down and so there is a much lower need for inspectors. Think about what it means to lose 42 positions but not eliminate any services, and that almost always is the case with the local governments I have visited. It means that the remaining employees, who in Rowan County have not received raises for three years, are required to do their job and a part of someone else’s job. They receive no extra pay when it happens. This increased burden on local and state employees, on our clients, is one of the untold stories of the recession. I assume it remains invisible partly because reporters believe that people will not be bothered if under-valued public employees have to work a little harder, or even a lot harder. It also must make it harder for them to get away for our training, even though it also may mean that our training is even more important to them. Gary also talked about how they are looking at ways to save money by working with others to provide government services. In one case the county shifted from operating a senior center to contracting with a nonprofit organization to run the senior center. It saved money for the county. They are trying to negotiate a centralized dispatch center with Salisbury because it could save money and could provide overall better services. Not surprisingly, this continues to be a theme in my meetings with managers. Gary told me that two years ago the commissioners had instructed him to consider eliminating dues to various organizations for possible budget cuts. This included a number of regional organizations, like the local council of governments. Gary responded that two organizations should be completely off the table, the Association of County Commissioners and the School of Government. They agreed and each year they have paid their dues, including this current fiscal year. I had a few minutes to explore Salisbury before my meeting. 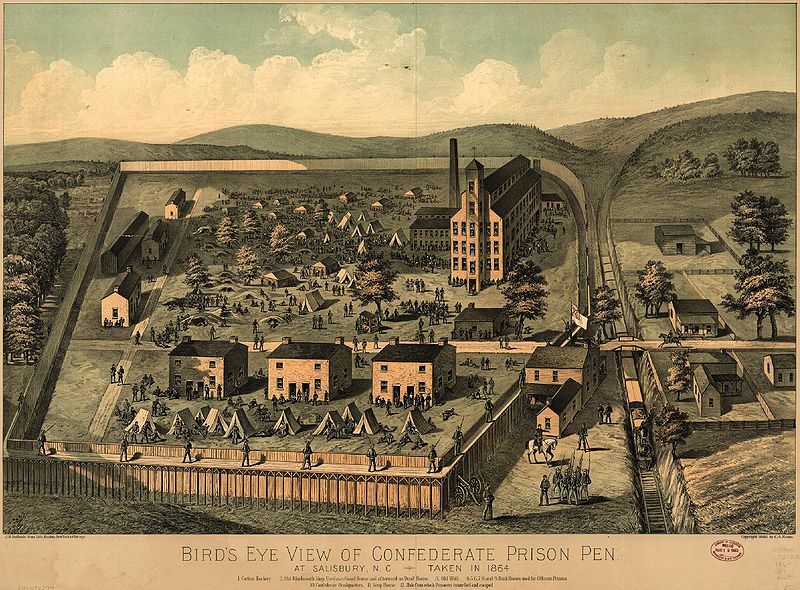 The town was home to a Confederate prison during the Civil War. 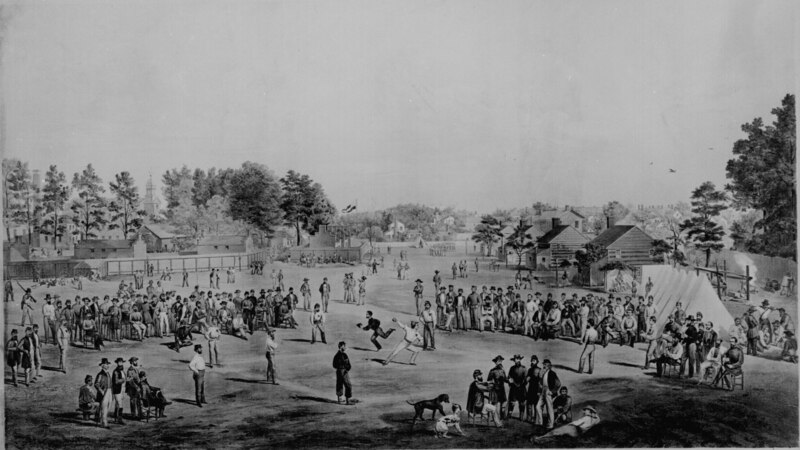 I knew about it because I had seen a print at the Baseball Hall of Fame in Cooperstown, New York of Union prisoners playing baseball in Salisbury, North Carolina. It saw it on my honeymoon, but that is another story. I happened upon a sign for Civil War Trails located near an old building that houses antiques and various artifacts. 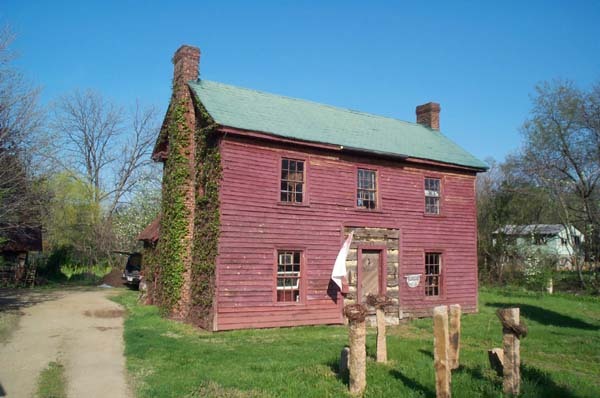 It turned out to have been a garrison house for guards and it is the only surviving structure that was associated with the prison. It is owned by a man named Clyde who is an amateur historian and an extremely colorful local character. [He has been involved in a dispute with the Historic Preservation Commission about whether a pair of underwear taped to his window was a proper sign. He also charged the director of the local arts council who removed them with larceny.] The population of the prison grew during the war until it was holding more than 10,000 prisoners under horrible conditions. For purposes of comparison, the population of Salisbury was under 2,000 people. An estimated 3,500 prisoners died, and the commandant who oversaw the worst of the conditions was tried and hanged after the war. After telling me all about the prison, Clyde pointed me to the Rowan County Historical Museum, which is located in the old courthouse. It has a small collection, and it has a very nice special exhibit on Rowan County and the Civil War. A wonderful docent greeted me and told me about the museum. When I told her that I was from Chapel Hill, she observed that I lived in a suburb of Rowan County. I laughed and then she pointed to the map below. My fuzzy picture makes it had to see that Orange County is located right next to Rowan. Unfortunately I didn’t think to catch the date on the map. Thanks for the pictures of the prison. Unfortunately, poor conditions for prisoners of war were a fact of life on both sides in the conflict. My own great-grandfather (yes, just one great), Richard Robert Bell, was held for some time in the Union prison at Point Lookout, Maryland, where disease and starvation were quite common. Fortunately for him (and for my future existence), he was swapped out in a prisoner exchange at the James River.